This week’s picture was snapped during a visit to the upstairs seating area at Morning Times in downtown Raleigh. This is one of my favorite places to relax downtown. I love the lighting and exposed brick walls with large windows overlooking the action on Hargett Street below. 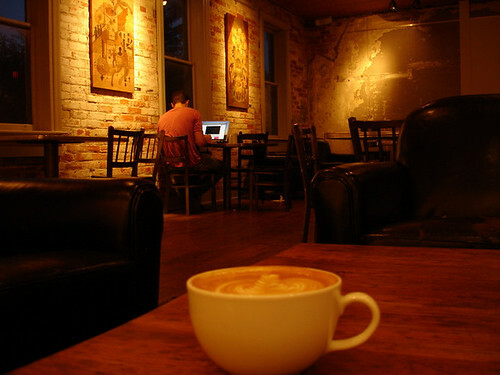 They also serve Counter Culture Coffee and have some great baristas making for excellent signature coffee drinks!